Seems like someone on Squeenix announced it earlier and deleted the post. I'm totally getting this, despite owning it on Switch already. Good thing I haven't started that version, as I'd rather play it on PC. This game was one of the reasons I had been eyeing a Switch (when the revision hits), but now it's one less. Yeah, timed exclusives are better than not coming to PC at all. Question is what will be the price. I could see myself picking it up for say around $20 but not more. It's likely to come out at minimum $40 I'd think. If it's $40 I'm gonna skip it at launch. $20 would be an instant double dip from me. isn't this kind of game that you rather play on a handheld than on a stationary PC? it's sad that they had to make it available on the PC as well anyhow. 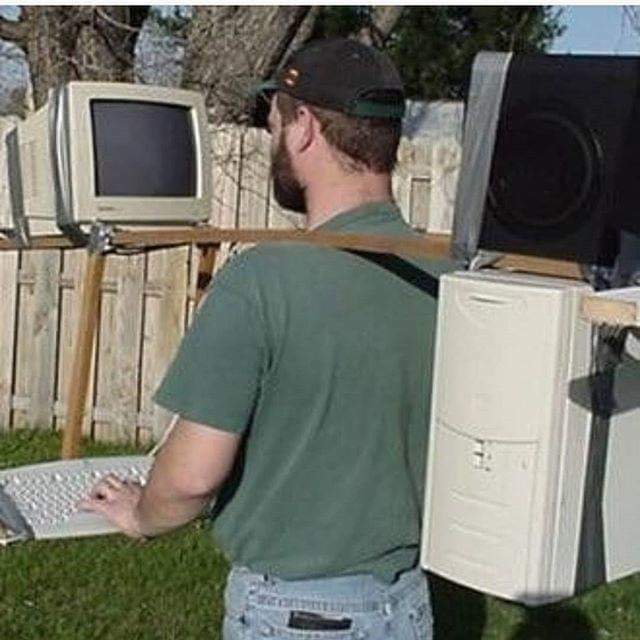 I don't see laptop as handheld though. Or you mean you really have a handheld PC? I never bought OT when I had a Switch, so I might buy when it comes out... so it can sit in my account. When I finally get to it, I’ll hate myself because it will be on sale. I think the game's art style will benefit more from arbitrary resolution support and antialiasing on a PC. The ability to toggle certain post-processing effects we don't like can also be made possible. To be honest, no game should be shackled by the limitations of a closed platform, especially not games like these. Why's it sad? More people being able to play it is good and happy. It's not like this is Nintendo having to make Mario multiplatform cos they don't sell any more, haha, this is a third party, it's good to see more ports! Why's it sad for Octopath Traveler but seems normal for Final Fantasy XV and Dragon Quest XI? I'm very interested in checking this out, probably not at release though. Seems to be a very divisive game. I'm glad I waited on picking this up. I really enjoyed the demo on Switch. Wishlisted, although I strongly suspect that I will be waiting quite a while to purchase this. Squeenix doesn't seem to ever discount anything below 50% anymore, so if this comes out at $40, it will never drop below $20 for the next 5 years or w/e. Makes it a tough sell when Yakuza games from Sega are coming out for 19.99. I'm in on day one most likely. Big JRPG releases on Steam have always been something I stupidly think, "Oh, I need to grab this so that other titles will come in the future" and it's something I can't shake. Not to mention that it's probably not even a legitimate fear anymore.. maybe never was. Plus nothing will ever slay the backlog beast. It hungers for more. I would rather play Yakuza 0 for the 3rd time . Anyone here played this on Switch? Seems like a lengthy RPG, but does it actually hold up to the hype? I only played the demo, so I can't exactly comment on whether it holds up since I only did a few characters' prologues, but it's basically 8 separate stories that are interwoven into each other in some way. The battle system was neat, since the goal is to break enemies' shields by dealing a set number of hits/aiming at their weakness. Breaking their shield lets you deal much more damage and staggers them, but the same could be done to you I think. It was pretty difficult for me at the beginning, but I'm not sure how that difficulty scales. I didn't pay attention to the hype at all, but I still enjoyed it. I think it's worth playing, but I don't think it was anything revolutionary. Go in with tempered expectations if you're looking for the next, I don't know, Chrono Trigger or Final Fantasy VII. I wasn't expecting another Chrono Trigger. Hard to enjoy any genre if expect every game to beat the all time bests. The multiple stories aspect of it does seem really interesting. The unique look of it also doesn't hurt. Don't exactly have the time for an RPG right now, but if it ever goes below 30€ I'll make sure to get it. Loved the demo on the switch, then picked up the game and never played it on there. I will probably end up buying it again on PC. Hopefully it or something will get me out of this gaming funk I'm in. $60 for DQXI or FFXV I can understand... but Octopath? Every Dungeon in the game is a 100% linear tunnel. There are no secrets and no exploration. Occasionally you will come across a T-crossing, one way being the one you came from, the other the one you must go on and one way being 2 metres long, holding a treasure that is impossible to miss. Every bossfight follows the same forumlar. The boss starts out with 2 adds and has two weaknesses you need to exploit. Meanwhile they spam basic attacks. When they're halfway down, they resummon their adds and start doing charge attacks. Every story chapter in the game follows the same structure. Enter a city, do some dialogue, enter a dungeon, fight a boss, dialogue again, chapter over. The pacing is also always identical. The party members never, at no point ever interact with each other beyond some Tales of style "Skits" you can activate occasionally. Throughout the story beats, the game just pretends all characters away beyond the one whose chapter it is. The combat is fun tho. It's easily one of the most formulaic games i've ever played and that's also what made me drop the game. If you've finished even a single chapter, you basically know everything about the game. At least the game looks pretty, and my curiosity about the characters is still strong enough to make me buy. Sounds a lot like FF XIII with it's "Hallway" style of designing dungeons. Maybe this game also opens up after 50 hours of torturing linearity? Thanks for the info. Your sacrifice wasn't in vain.